Nick and Kath Whitworth are the founders and still hands-on directors of Celtic & Co.
Kath grew up in Newquay, Cornwall and started off her career as an estate agent. Nick and Kath met when he was posted to Cornwall with the RAF in the 80s. An advert in the local paper caught their eye, offering a small boot-making business for sale. They bought it with just seven pairs in stock, and taught themselves to sew them. They didn’t know at the time but this was to be the biggest adventure of their lives – alongside bringing up their two children Mike and Clare. 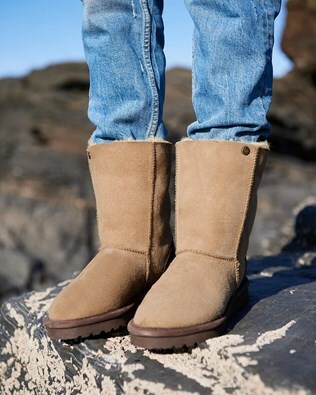 Once they’d built up a local following of their Ugg style boots they registered the ‘Ugg’ trademark. This proved a good move as they later sold UK rights to the name enabling them to re-invest in the company. 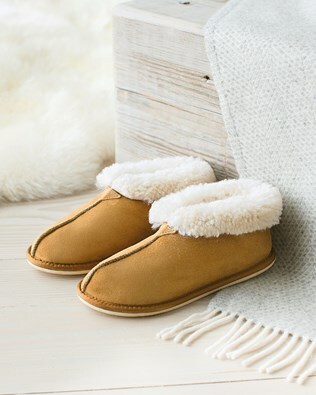 They became the Celtic Sheepskin company and it was around this time that the now iconic bootee slipper was born – still our best-selling, best-loved item. It was a challenge growing a business and bringing up a young family at the same time. Most evenings were spent working once the kids were in bed. But Nick and Kath both love to work, finding great satisfaction in turning beautiful natural materials into finished products. They always made it a priority though to never miss out on anything with the children. More recently the company became Celtic & Co, to better reflect the range of high quality clothing alongside the boots and slippers we were originally known for. These days Celtic & Co employ over 30 staff to help manage the needs of a growing global company. But it is still a family run business with Nick and Kath at the heart of it.